BOH offers no cost Surveys and Product training to our customers. Surveys and Training can be conducted on-site or remotely. Please contact us for complete details. Spare & repair parts are available for all our Products. Please review chapter 6 of the user manuals below to determine the part number or contact us directly. BOH offers product-specific operations and maintenance manuals with illustrated parts breakdown. 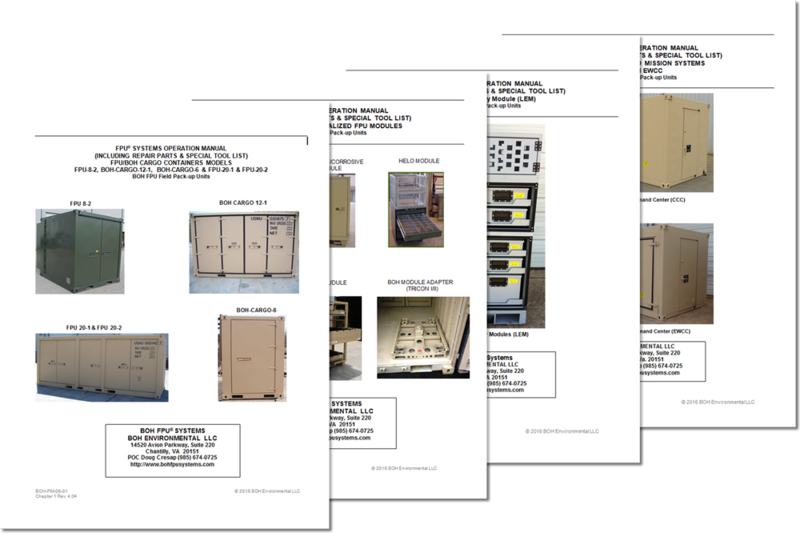 All BOH manuals contain general information, operating instructions, Preventive Maintenance Checks and Services (PMCS), and maintenance/repair instructions for all BOH FPU® System products.